His Highness Sheikh Mohamed bin Zayed Al Nahyan, Crown Prince of Abu Dhabi and Deputy Supreme Commander of the UAE Armed Forces, visited the Abu Dhabi Unified Government Services System, Tam, platform at Yas Mall. During his visit, Sheikh Mohamed was briefed about the mechanism of the system, which provides government services to customers in Abu Dhabi. During his talk with Tam employees, he stressed that what distinguishes modern governments is that they exceed the expectations of their customers and provide innovative and integrated services that are flexible, to serve the social and economic needs of all segments of UAE society. 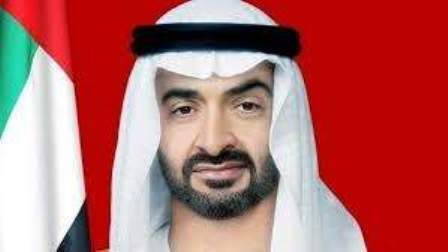 His Highness Sheikh Mohamed bin Zayed added that the UAE, led by President His Highness Sheikh Khalifa bin Zayed Al Nahyan, has made considerable progress in establishing comprehensive government systems that comply with the nation's overall development. Sheikh Mohamed urged the employees to continue their hard work to promote the best service systems and improve government performance, by employing advanced smart technologies and adopting innovative ideas that will save time and achieve customer satisfaction. Tam is being implemented as part of the Abu Dhabi government's vision to provide customers with the means of comfort and success while improving government performance using the latest technologies. Through the platform, customers are able to access their required government services at one connection point at any time and any place, through smart devices or the Tam website or its branches. Tam has an innovative and simple design and fulfils the needs of customers in a fast and easy way. The Tam platform in Yas Mall has multiple uses and enables visitors to attend events, interact with other customers, and explore the Tam initiative using virtual reality. Tam also includes a self-service area that gives customers digital access to government services, as well as a dedicated area that allows them to get the necessary support from specialists. Visitors can also leave their feedback by audio-visual, text and emoticons in a mutual innovation area.